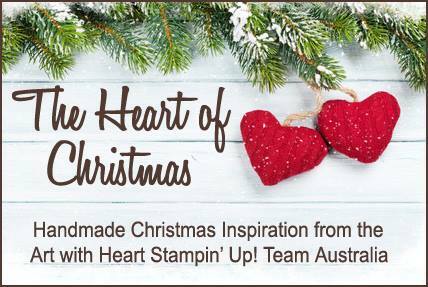 Hi everyone and welcome to week 3 of Christmas inspiration with Art with Heart Stampin'Up Team Australia. 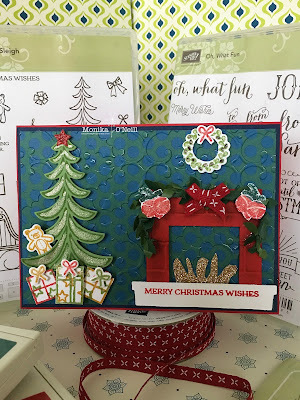 Today's card I have used Real Red for the base and Night of Navy Mat, the top layer is from Eastern Palace DSP and I ran that through the Big Shot using the Holly Textured Embossing folder. For the fire place I used Real Red card stock and used my trimmer to cut out then ran it through the Big Shot using the Brick Wall Embossing folder and sponged Real Red ink over it. 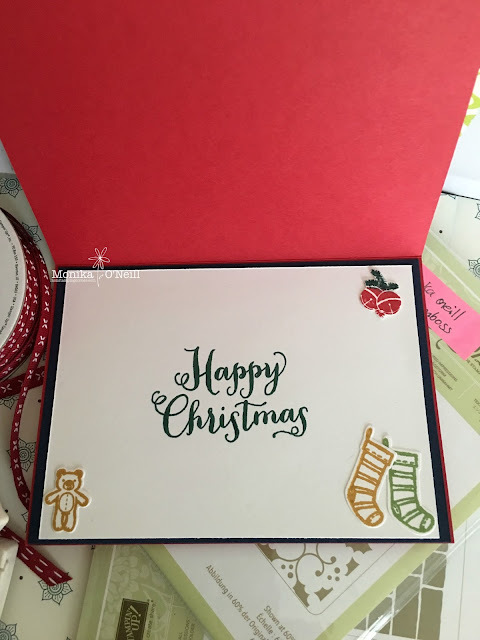 I used the Santa's Sleigh Stamp Set and Santa's Sleigh Thinlets for the Christmas Tree using Wild Wasabi card stock and Ink Pad, teddy is stamped from Crushed Curry Ink Pad, presents and wreath are also from this stamp set, for the star tree topper I used Red Glimmer Paper and the fire I used Gold Glimmer paper and cut it free hand. 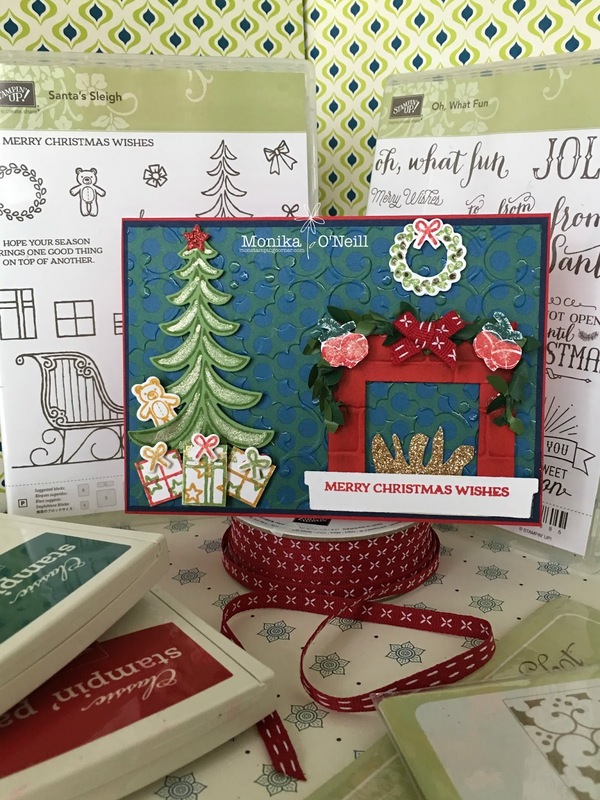 For the mantle I unwrapped a Boxwood Wreath and used Tombow glue to adhere, tied a bow using Cherry Cobbler double stitched ribbon, I stamped and fussy cut the baubles on each end of the fireplace from Oh What Fun Stamp Set. The sentiment is from Santa's Sleigh and I cut out the mantle from the Hearth & Home Thinlet and stamped on that. I hope you enjoyed this weeks cards. Have a great week and I will see you here again next week.